Not long after his brother had left, the older brother said to his father, “father, I cannot bear to think of my younger brother suffering in this severe famine. I will go and find him.” And his father said to him, “my son, you are always with me, and everything I have is yours. Take what you need and go and find your brother.” So the father divided the remainder of his inheritance with his remaining son, and his son set off on a long journey to find his brother. And when he had found him feeding the pigs, he said to him, “my brother, how many of our father’s hired servants have more than enough bread, and you perish here with hunger! Come home with me to our father, and he will receive you. Keller’s book is great. 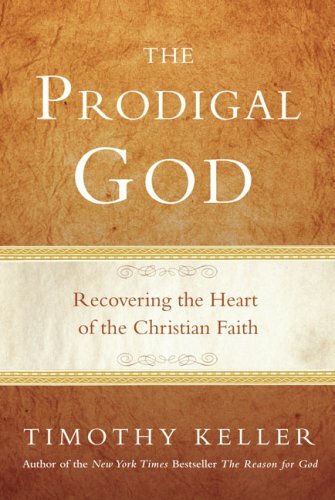 You would also love Bailey’s book The Cross and the Prodigal. Super easy but fascinating read. Right up your alley.